A wonderful gift for any dog lover, which will enable them to choose from the Hide and Collars range of leather dog collars and leads. 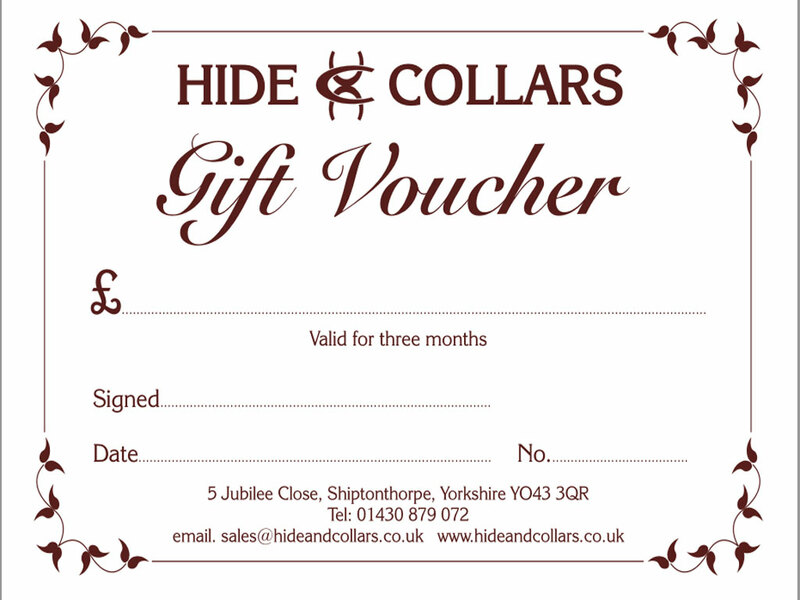 To use your gift voucher, write your order and delivery details on the back of the voucher and include any extra fee if necessary and post back to us in the stamped and address envelope provided with your gift voucher. Please note if you are only buying the gift vouchers to choose UK postage on checkout.